We continue reviewing our favorite restaurants participating in NYC Summer Restaurant Week, (now through Aug 18). As promised, here is Foodfaves’ selection of NYC’s best restaurants serving INTERNATIONAL CUISINE. Whether you’re an adventurous foodie or a super fan of traditional cuisine -- this list is for you! You’ll arrive at your Restaurant Week dinner knowing all the best dishes to order. We love sharing our passion for international cuisine - read on to get yourself ready for one of the most exciting weeks of the year - NYC Summer Restaurant Week! Share your passion for “International Cuisine” and download the Foodfaves app Today! Located in Gramercy Park, Casa Mono & Bar Jamónis a tapas bar & restaurant inspired by the cooking of Spain’s Costa Brava. The Michelin star-rated restaurant is managed by Chef Andy Nusser in partnership with Mario Batali. If you are looking for a place with lively Spanish music and authentic tapas, Casa Mono & Bar Jamón should be on the top of your list. For NYC summer restaurant week, they offer a three-course prix-fixe lunch menu that includes a choice of first and second course, and dessert. What to order? Don’t miss the Pork Croqueta’s first course with beans and tomato vinaigrette. For the second course, Foodfaves recommends the Dorada with tomato gazpacho and panzanella salad. To end with the perfect dessert, go with the Summer Sorbet with moscatel fruit. 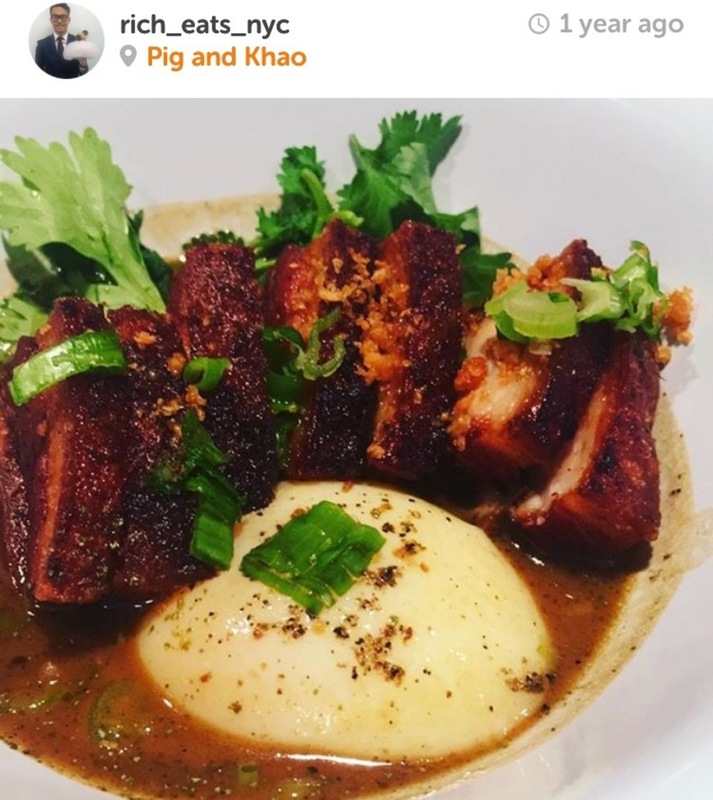 Located in the Lower East Side and managed by Chef Leah Cohen, Pig & Khaopays homage to the culture, food, and sights of Southeast Asia. The restaurant offers dishes from the Philippines, Thailand, Burma, and Vietnam keeping the traditional culinary techniques of the region. Let your adventurous foodie senses explore new flavors in a fun atmosphere with music and drinks. For NYC summer restaurant week, you can choose from a prix-fixe lunch and dinner menu that includes a starter, two main courses, the rice of your choice and dessert. What to order? For dinner, Foodfaves recommends the Green Papaya Salad with chicken, peanuts and fish sauce-lime vinaigrette as a starter. For the next two courses, the Pork Belly Adobo and the Cod in Banana Leaf both crispy and juicy. Finish this exotic meal with their famous Halo- Halo dessert, leche flan with shaved ice cream topped with some Asian spices. Owned by Antoine Westermann, Le Coq Ricoor “the bistro of Beautiful Birds” pays tribute to responsibly raised whole-animal poultry. This French restaurant offers a wide variety of birds such as bred chicken, turkeys, duck and squab dishes. The quality and traditional raising method is the secret behind their meat flavors. Le Coq Rico is a call for all our Foodfaves’ poultry lovers. For NYC summer restaurant week, they are offering a three-course prix-fixe lunch menu that comes with a main and second course and dessert. What to order? Foodfaves' recommends beginning with the Deviled Eggs filled with an octopus, cabbage and cumin salad. For the second course, you can’t miss the Quarter Chicken, juicy and tender. To finish order the L'ile Flottante, a soft meringue over crème Anglaise, sweet enough to finish this meal. Managed by Alex Stupak, Empellon Taqueriaor “to break through” is the place to enjoy authentic Mexican cuisine and Tacos. The restaurant menu is designed with the belief that most ingredients worth eating can benefit by being placed atop a well-made tortilla. For NYC summer restaurant week, they are offering a three-course prix-fixe dinner that includes a complimentary of guacamole with chips, an appetizer, tacos (3 pieces per order) and dessert. What to order? Foodfaves suggests starting with Carrots with Achiote and Coconut Cream. Don’t miss the Short Ribs Pastrami tacos. To complete the experience, the Passion Fruit Curd with mezcal and meringue is one of the best Mexican desserts we have ever tried in New York. Almayass is the first Armenian-Lebanese restaurant in Manhattan. Located in Gramercy, this middle-eastern restaurant brings a new culinary experience infusing Lebanese cuisine with the flavors of Armenian dishes. For foodies that love middle eastern spices, Almayass is the place you have to book now! For NYC summer restaurant week, the restaurant offers a prix-fixe lunch and dinner menu that includes, 2 appetizers, a main course and dessert. What to order? Foodfaves recommends starting with the Kebbe Sajjieh. A mixture of minced beef stuffed with walnuts, pistachios and onions, and the Humus with Fried Cauliflower. For the main course we couldn’t decide which of these two dishes were better. If you are craving for fish, we recommend the Bronzini with sesame sauce and veggies but, if your craving is a vegetarian option we recommend the Jingle Bell Peppers stuffed with veggies and chickpeas. For dessert the Atayif (Lebanese pancake) with pistachios and Ashta is definitely the best choice. Tamarind Tribeca offers many of India's varied dishes from different regions. For Foodfaves fans loving spices and exotic food, this restaurant is a ‘must’. For NYC summer restaurant week this Indian restaurant offers aprix-fixe lunch menu that includes an appetizer, two entrees and dessert. What to order? Foodfaves recommends starting with theGhosht Thali Pe, a dish of lamb, indian spices and rice pancake. For the entrees, we recommend the Murgh Makhan Phal, famous tandoori chicken with yogurt, avocado, humus and tandoori spices, and the Potli Baingan, a hot veggie salad with eggplant, potatoes, peppers, shiitake mushrooms and tomato sauce. For dessert, the famous Indian Cassatta is the best choice. 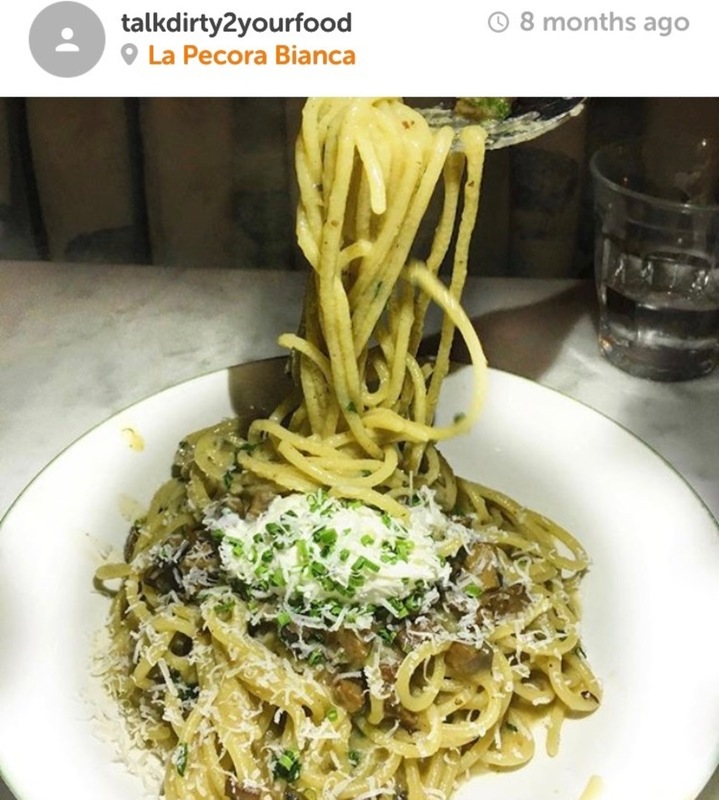 La Pecora Biancaor “The white sheep” is a casual Italian restaurant located in the heart of the NoMad district. The restaurant takes Italian food back to its roots using only sustainable food ingredients. If your food preference is casual and traditional this is the place to visit today! For NYC summer restaurant week, they offer a three-courseprix-fixe lunch and dinner menu that includes a first and second plate and dessert. What to order? For dinner, Foodfaves recommends a “fresh beginning” with the Crudo. For the second plate we recommend the Gramigna a house-made pork sausage with broccolini, garlic, chili flakes and pasta. To finish, the Chocolate Tart with hazelnut and whipped yogurt, so far the best part of this meal! 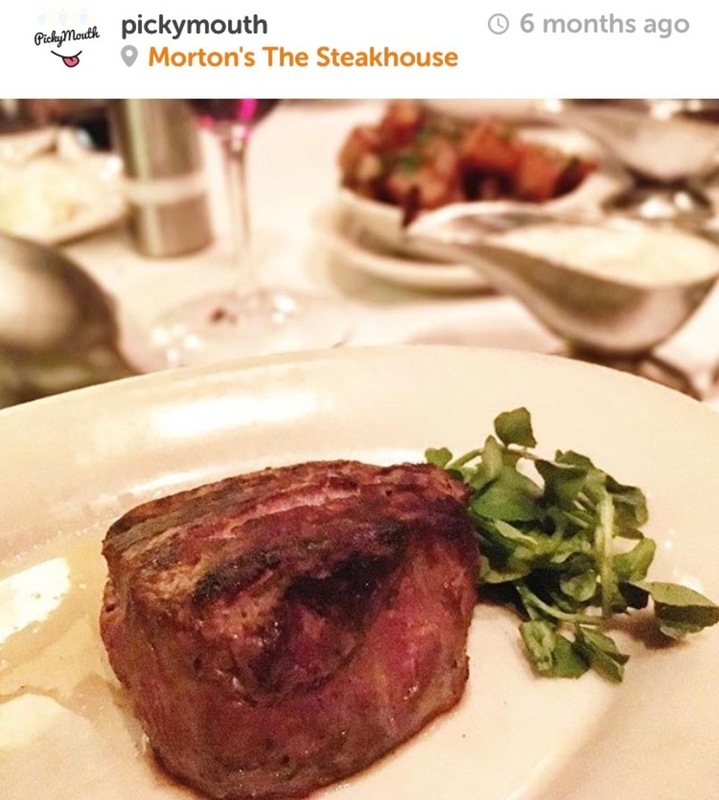 Located in the Financial District, Morton’s steakhouse is the perfect blend of the classic steakhouse with a contemporary twist. Morton’s features the best quality of USDA prime aged beef and seafood with world-class wines and cocktails, and outstanding desserts. For all our Foodfaves meat lovers this is your opportunity to visit one of the best Steakhouses in the US! For NYC summer restaurant week, they offera three course-prix-fixe lunch and dinner menu that includes an appetizer, an entrée with an accompaniment and dessert. What to order? For dinner, Foodfaves recommends starting with the Cesar Salad with crispy lettuce and a salty and creamy dressing. For the entrée, you can’t miss the Filet Mignon, juicy and tender. To close this meal, we suggest the Key Lime Pie. 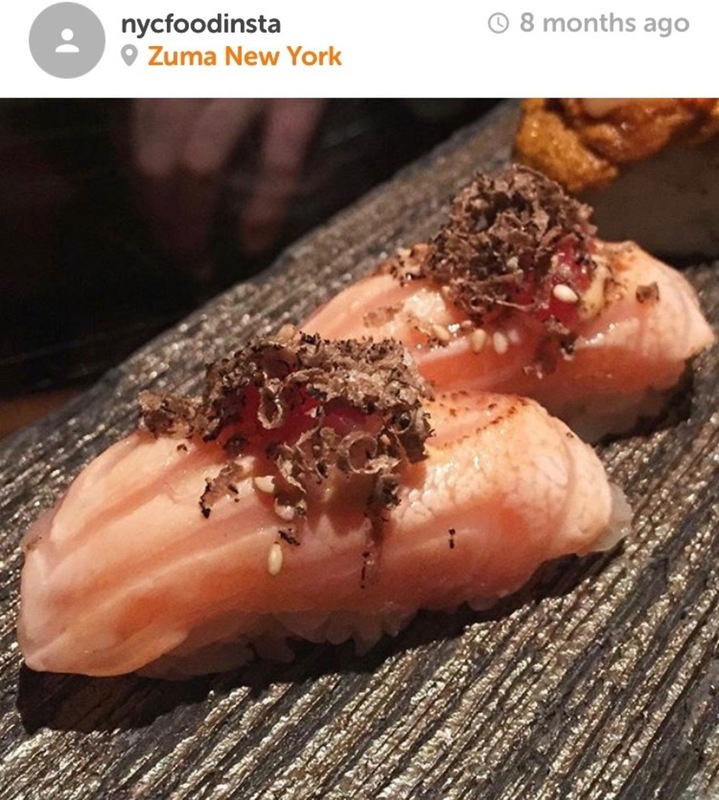 Located in Midtown Manhattan and owned by Rainer Becker, Zuma is the perfect representation of modern Japanese cuisine and informal dining style of Izakaya (a type of informal Japanese gastropub). Most of their dishes are sharing style highlighting the bold flavors and quality of the ingredients. For NYC summer restaurant week, Zuma offers a three course prix-fixe lunch or brunch menu that includes an appetizer, an entrée and dessert. Also, they offer sharing dishes at special price. What to order? Foodfaves recommends starting with the Salmon Tartar with ponzu and mustard miso dressing. For the entrée, you can’t miss the Hanger Steak topped with wafu sauce and garlic chips. To close this meal, the Chawan Mushi with exotic fruits is your best choice.